Today is the official launch and release of the AMD Radeon RX 590, not really a new GPU but rather a refresh of the Polaris offering (slightly) better performance than its RX 580 predecessor. If you are subscribed to some of the popular Tech Youtube channels or websites, I guess by now you already have an idea about the performance of the new RX 590 graphics card. The RX 590 is like the “GTX 1060 Ti” we never had. It performs faster than an RX 580 but slower than an RX Vega 56; and faster than a GTX 1060 6GB but it’s slower than a GTX 1070. It sits just right in the middle with a $279 MSRP. So is it worth it? Right of the bat the “new” Radeon RX 590 features a 12nm Polaris 30 GPU. It has 2304 stream processors, 36 compute units and 8GB of GDDR5 memory. It has a base clock speed of 1469MHz with a boost clock speed of 1545MHz. Its memory has a 256GB/s memory bandwidth and runs on a 256-bit memory interface. 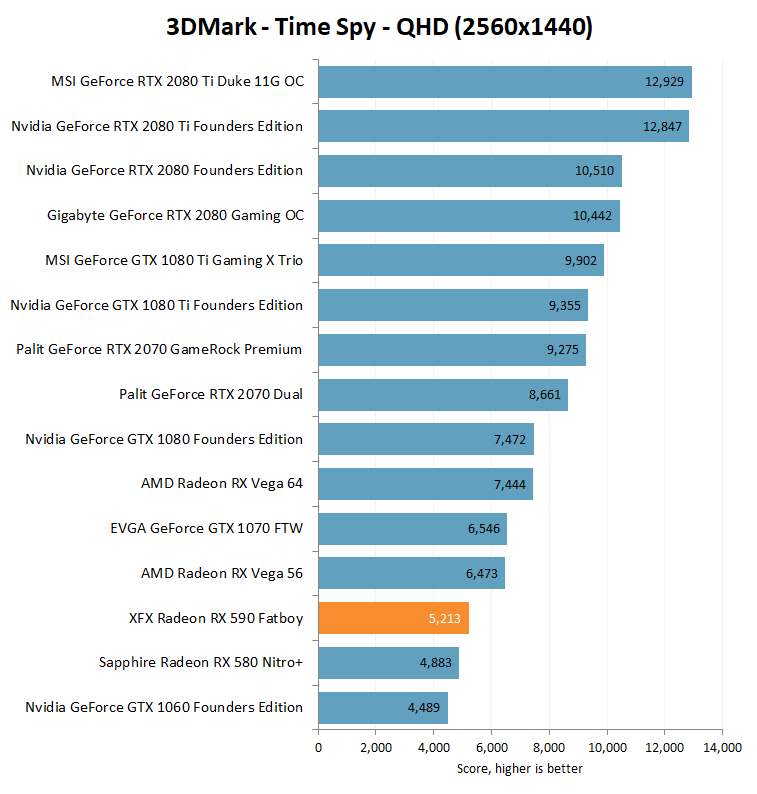 Very similar to its predecessor, except for the GPU clock speeds. Despite using the same architecture, AMD was able to increase the performance by using a 12nm processes. AMD hopes to fill the gap between the RX 580 and RX Vega 56, and GTX 1060 6GB and GTX 1070, with the RX 590. Expect that non-reference RX 590 from partners will feature factory overclock speeds and possibly higher boost clock speeds out of the box. The Radeon RX 590 also includes features such as AMD Radeon FreeSync 2 HDR technology, AMD LiquidVR technology, DirectX 12 and Vulkan support, Radeon ReLive technology, AMD Radeon WattMan technology and more. Below is a specifications table comparing the RX 590 vs RX 580 and RX 480. We don’t have an RX 590 graphics card yet to test with, but we already have pretty much a good idea what it is capable of and where does it sit. Like I mentioned earlier, it is faster than a RX 580 but slower than a RX Vega 56. It sits just in between the GTX 1060 6GB and GTX 1070. The RX 590 is great for 1080p gaming and probably for 1440p gaming with some adjustments on the graphics quality to hit that 60 fps and more. While the AMD Radeon RX 590 may offer faster performance than its predecessor, it’s also one power hungry graphics card. I know some won’t mind as long as they are getting the performance that they are looking for. 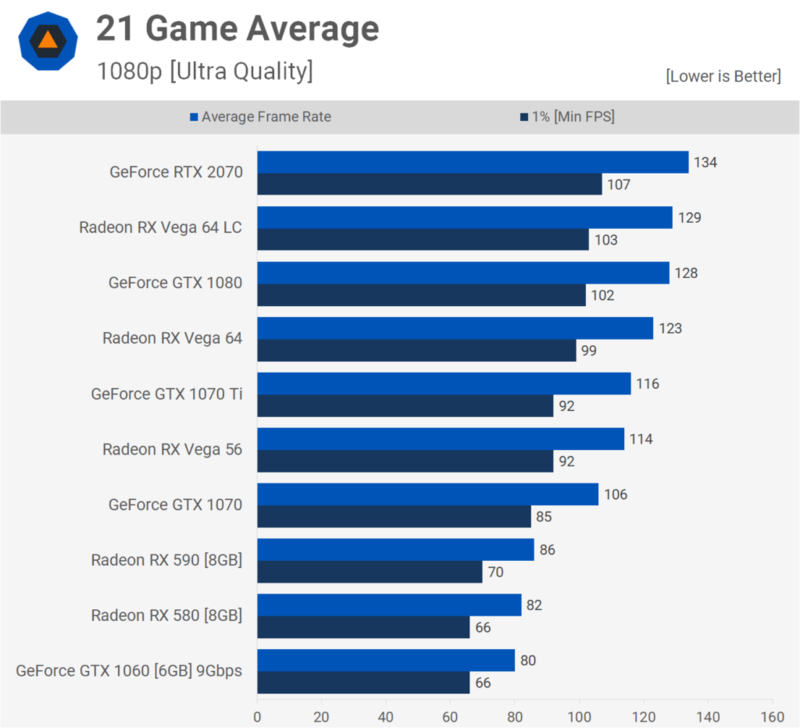 But for power conscious users, this may raise a red flag as the RX 590 consumes more power than a GTX 1070 (Ti); nearing an RX Vega 56’s power consumption. The Radeon RX 590 comes with a manufacturer’s suggested retail price of $279 USD. Right now the XFX Radeon RX 590 Fatboy 8GB OC+ and Sapphire Radeon Nitro+ Rx 590 8GB retails for $279. While Asus’ ROG Strix Radeon RX 590 8G Gaming seems to be priced higher. I also checked some of the current retail price of competing graphics cards and below are their respective price range. You can check out the latest pricing and availability below. You also might want to pair the Radeon RX 590 with a 1080p monitor with Freesync feature. Check out some of 1080p Gaming monitor with FreeSync support here. 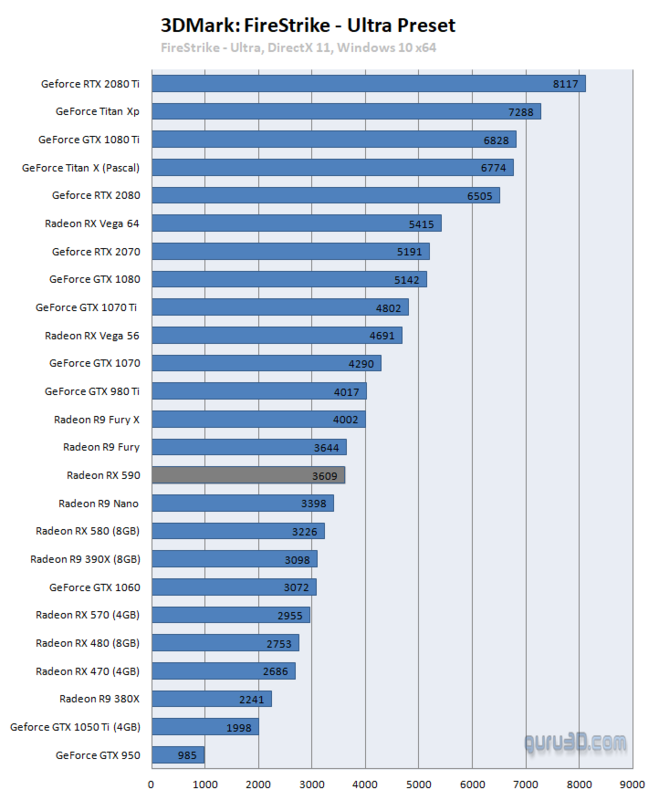 In the benchmarks the graphic cards looks like in a good position.